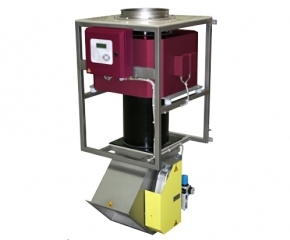 Metal detectors and separators are used to protect grinding mills/chippers/shredders in the first stages of processing. 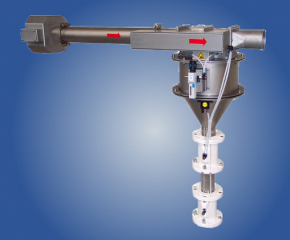 They are also used for quality control at the end of a process, such as in the processing of plastics. 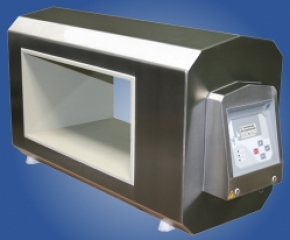 metal detectors detect ALL metals from 1 mm, even non-magnetic metals such as aluminium, copper, brass, etc. Operation: a metal detector is a conductive coil that produces an electromagnetic field. When a conductive metal object enters this electromagnetic field, it disrupts the field. Detection of the disruption can be used to control an action, such as stopping a belt or activating a separation flap. Metal detectors can be built around conveyor belt systems (METRON), or they can be integrated into pipeline systems (QUICKTRON, P-tron).